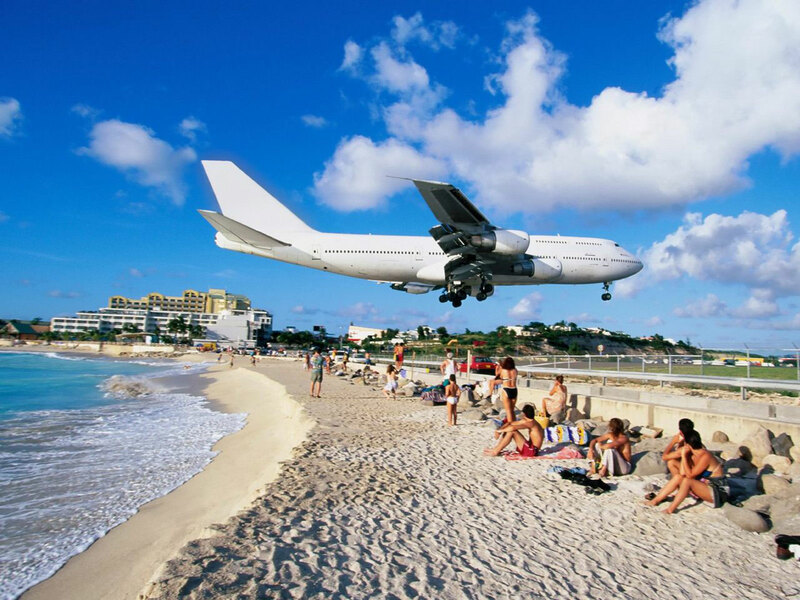 Maho Beach, Where The Airport is The Beach. What makes a great beach is the purity of the sand, clarity of the water, atmosphere, weather and a view. Maho Beach has all of these, the view however is quite unique as you can see in the undoctored / untouched photo. That was not a fluke or an accident, it happens all day as a normal routine as Princess Juliana International Airport on the Island of St. Martin is located back to back from each other. If your backpacking through South America or near Puerto Rico, take a cheap flight to Maho Beach as it’s close by.